Gaytree Dhangar Photography, Mumbai is a team of professional wedding and events photographers having 9 years of experience in VFX and Graphics Industry And Diploma in Weddings and Events. 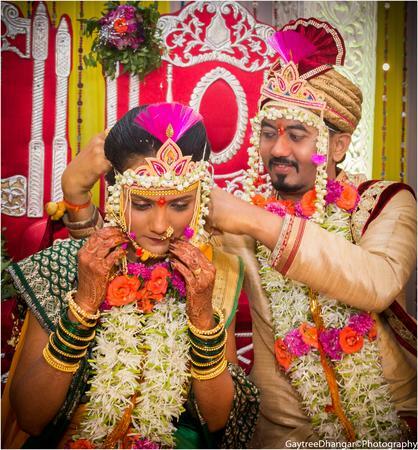 By having Gaytree Dhangar Photography, Mumbai at your big day you can stay at rest as they take care of everything. Gaytree Dhangar Photography is a Wedding Photographer based out of Goregaon East, Mumbai . Gaytree Dhangar Photography's telephone number is 76-66-77-88-99, Facebook page is Gaytree Dhangar Photography and address is 205, Summit Apartments, Royal Palms, Aarey Coloney, Mumbai -400065. In terms of pricing Gaytree Dhangar Photography offers various packages starting at Rs 40000/-. There are 0 albums here at Weddingz -- suggest you have a look. Call weddingz.in to book Gaytree Dhangar Photography at guaranteed prices and with peace of mind.